IMS, TIME and CL leading the way are India’s top coaching institutes for MBA training. Competition is the paradigm of modern day life. The statement may seem ‘clichéd’, but the thirst for competition has seeds seeped deep in our existence. The demand for rapid growth and innovation only bolsters this insatiable desire to encourage competition for every available resource. Education stands the tallest amongst these resources. 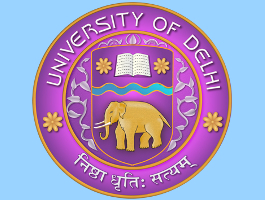 India’s top colleges and universities offer admissions on the basis of performance in competitive entrance examinations. All the best fields of study such as engineering, medicine, management, humanities and arts have their respective entrance exams etched to their name. The morality of such a trend is questionable. To measure students coming from different backgrounds and struggles on a common pedestal is neither wise nor advisable. However, in a country as vast as India, there sometimes remains no choice but to accept this problem as a necessary evil. To ingratiate these students into the muddle of our education system, coaching classes have emerged as the intermediary to school and entrance exam level studies. The trend has been on the upswing since the last two decades as is expected to blossom as long as school education takes to catch up to the level required to crack entrance exams. Coaching Classes: Bane or boon? Many educational experts have condemned the advent of coaching classes as the antithesis of our educational system itself. However, is it wise to blame a system which was already heading towards breaking point? The world currently sets aside 4.46% of its GDP for education. India on the other hand lags behind at 3.1%. This negligence of education is only apparent when we look at the state of government funded schools and colleges. The curriculum designed for school education is often found to be two or three rungs below the level of entrance exams. In such a scenario where schools simply do not teach the required level of topics, what are the students expected to do? In streams such as science, engineering and medicine are the only fields one can pursue and both these fields conduct the country’s toughest examinations. To be able to cope with this disparity, students turn to coaching centres to allay the gap between where they are and where they need to be. The only valid point of contention over coaching centres is their single minded approach to teaching purely for the sake of performance in entrance exams. This essentially translates to encouraging rote learning, which hinders the true potential of students. To conclude, blaming the concept of coaching centres itself is myopic. The gap in the level of education imparted in schools and the level required for cracking entrance exams in the reason behind the demand for coaching centres. However, coaching centres ought to focus more on concept based teaching rather than exam focused training. Education isn’t an exercise predicated upon clearing exams, but a cycle of learning and sharing knowledge. One of the most popular courses amongst students in India, MBA has now become the market standard for any business professional. Candidates from all fields of study are eligible to apply for an MBA degree at any OF India’s top B-schools. The wide gene pool vying for places amongst India’s top management institutes only makes the competition even more strenuous. MBA coaching institutes such as Career Launcher, TIME and IMS have been regarded as the ideal coaching institutes amongst a plethora of other options. Accounting for a number of selections every year, Career Launcher, TIME and IMS are one of the most trusted names as far as MBA coaching is concerned. The choice between these three becomes even more difficult. Each of these institutes has their own qualities, strengths, and weaknesses too. So how can we gauge which institute provides best coaching for CAT? 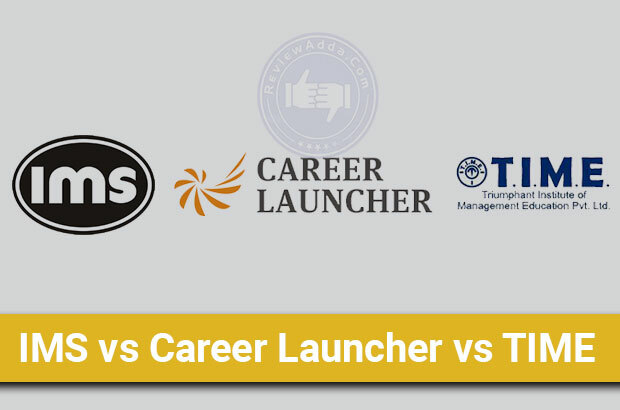 Career Launcher vs TIME vs IMS: The Factors? Distinguishing between coaching centres is a very arduous task considering the similarity these institutes exhibit. All three of them follow the same syllabus, have the same goal and share similar teaching patterns. With all of these similarities, how does one choose one over the other? IMS, Career Launcher or TIME? 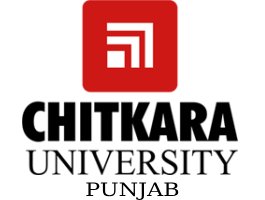 Six factors which are unique to each of these coaching institutes have been listed below. These factors will help us dissect between these three prominent coaching centres. Before taking the decision to join an MBA coaching institute, it is important to find out the number of students getting admission to top colleges successfully. This factor highlights an institute’s ability to tap into raw potential and mold it into a successful MBA aspirant turned student. A standard of atleast 5% conversion is a must before considering any of these three institutes. Students should be careful to not confuse total selections with number of calls. Colleges often call more students than they can actually accommodate and some institutes make advantage of this confusion. IMS, Career Launcher and TIME represent the backbone of India’s coaching industry. Coaching institutes design their own study material to cater to their own teaching methodology. While coaching is important, self-study plays a big part in improving MBA preparation. Students often rely on study material provided by coaching institutes for self study. A major part of the study material is the test series. Many coaching institutes allow students to avail test series through correspondence packages due to their immense popularity. Test series are essentially a collection of mock exams in which students are tested and ranked in a simulated entrance exam environment. Often, test series matter more than the actual study material. MBA itself is a very expensive course to pursue. Even government institutes like the IIMs charge a very hefty fee for their two year PGDM programme. Considering the high expense of college, is spending a pile of money on coaching classes a wise decision? Many students choose a cheap classroom programme at a smaller institute instead of spending more money. To compensate the obvious gap in quality, these students join correspondence courses at bigger institutes to remain at par with students attending those coaching classes. Thus institutes with a lower fee are preferred over the ones with a higher fee. Amongst the students attending coaching classes, many are sometimes already working with a company or completing their education. Such students require institutes with flexible class schedules. Often coaching institutes can be rigid in their approach towards students. It is advisable to choose coaching classes with a more flexible administration. While preparing for competitive exams, the greatest resource available to a student is time. The only problem is its replenishable nature. Thus, time should be considered a valuable resource during MBA preparation. Often students tend to choose a coaching centre two or three hours away from their home. This mistake reeks of naivety. Students preparing for MBA should avoid the hassle of travelling long hours and choose an institute near their home. Amongst the lakhs of students who sit for MBA entrance exams, the voice of most students gets lost at times. Personalized training is method with one motto, ‘No man left behind’. Each student has his/her own strengths and weaknesses. Personalized training helps in bridging the gap between brilliant students and the ones stuck in the middle. It is a very important aspect which modern coaching institutes have to ingratiate into their teaching methodology. 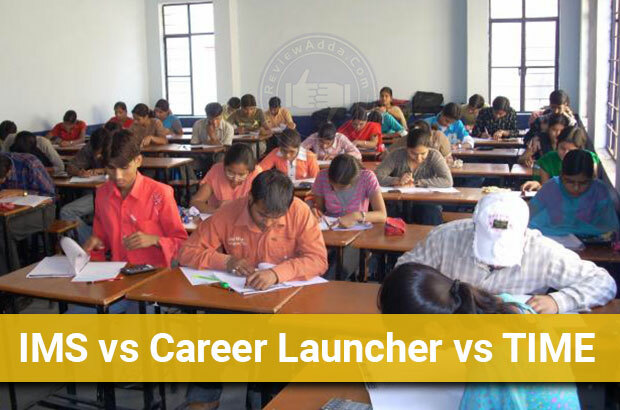 Spread over 90 cities in India with nearly 170 prep centres, Career Launcher is one India’s biggest coaching institutes. It provides educational resources for a wide variety of fields such as MBA, medical, engineering, CBSE, banking, civil services and CA entrance examinations. Established back in 1996, the founders of Career Launcher are alumni of IIM, highlighting their obvious pedigree with regards to the management sector. Flexibility in batch timings: Career Launcher isn’t rigid when it comes to organizing batch schedules. 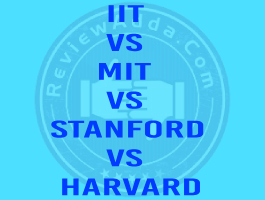 Most students preparing for MBA entrance exams such as CAT, XAT, NMAT and GMAT are either in their final year of graduation or working at a company. To cater to this demographic, Career Launcher provides class programmes in weekdays and weekends with separate morning and evening batches. Students can take up any batch according to their experience. Online presence: Taking a leaf out of the advent of digital media, Career Launcher offers online preparation courses as well for students who are more comfortable studying at home. The online course comprises of web seminars, tutorials, digital study material and notifications on quizzes and exams. Study material: The content is designed by a special team focusing on latest exam trends. Along with the standard Career Launcher material, additional books are also suggested for better understanding at times. Career Launcher CAT Test Series is also amongst the most highly rated preparation modules in the country. Proximity to entrance exams: The test series designed by Career Launcher is often regarded as one of the best preparation series for any MBA aspirant in India. This praise is down to the close proximity of the test series with actual entrance examinations in terms of difficulty. 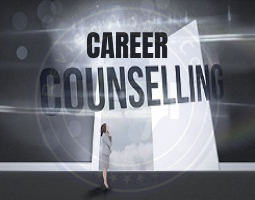 Career Launcher has many franchises across the metro cities as well as Tier-2 and 3 cities of India. It’s easy to understand six-step franchise formation process has garnered praise from many quarters. TIME is to CAT coaching what rhetoric is to politicians. One of the most trusted names in the MBA coaching industry, TIME is one of India’s biggest names in the educational sector. Classroom programmes offered in TIME range from MBA, medical, engineering, CBSE and banking to civil services and CA. Out of these, TIME CAT coaching is the most sought after programme. Like all great companies, TIME started off in a small office in Hyderabad back in 1992. After 25 years with 250 offices in 120 cities in India, TIME has become an education conglomerate. 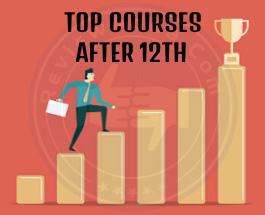 Breaking records in terms of results and selections every year, the propensity of TIME to churn out top draw IIM quality students stands undiminished. Over 10 students from TIME scored the perfect 100 percentile in CAT back in 2014. Teaching Methodology: Teaching at TIME is done in three phases: concept, section-wise and comprehensive training. This helps in building a cohesive process to learning and organized the manner in which every topic is taught. Training for post-exam process includes GD and WAT exercises, SOP writing and interview basics. Testing Methodology: Apart from building a solid base while teaching, TIME has a unique process for evaluating students. The evaluation tests are divided into three stages as well- foundation test, intermediate tests and advanced tests. Besides these tests, special mock tests such as CAT Replica Tests and All India Mock CAT Test Series are also held to bring students up to the level required to ace entrance exams. Study Material: Years of experience in training CAT aspirants, TIME keeps updating its study material to be in touch with current trends of entrance exams held around the world. The problem some experts cite with TIME is its high intake and lack of personalized training. However, this only highlights it popularity and success. Only students capable of taking care of themselves can excel in an institute like TIME. Amongst the oldest coaching institutes in the country, IMS is a prominent name in the Indian education sector. Founded back in 1977, IMS’s presence is felt in over 70 centres around the country across 44 cities. Started back then with merely seven students and a rickety table, IMS stands tall amongst MBA coaching institutes. Besides CAT, IMS also provides training for other management exams such as XAT, NMAT, GMAT and MAT as well other fields like Law and Banking. Intensive coaching: Following the age-old motto of ‘No guts, no glory’, IMS follows a similar methodology. Focusing on rigorous training and evaluation throughout the course, IMS focuses on all aspects of student life to bring the best out of a student. The counseling services at IMS focus on this very issue. Flexible batch schedules: Like Career Launcher, IMS also has provisions to deal with students in colleges or working in offices. Batches are scheduled throughout the week to allow students to join which ever batch they find convenient. Faculty: With a workforce of nearly 1000 experienced professionals, IMS has no dearth of talented teachers. Personalized approach: Unlike other coaching institutes where students can sometimes get lost in the crowd, IMS makes an honest effort to take along every student. Personal attention to each student during classes adds a touch of flair to the methodology and inspires them to work even harder. 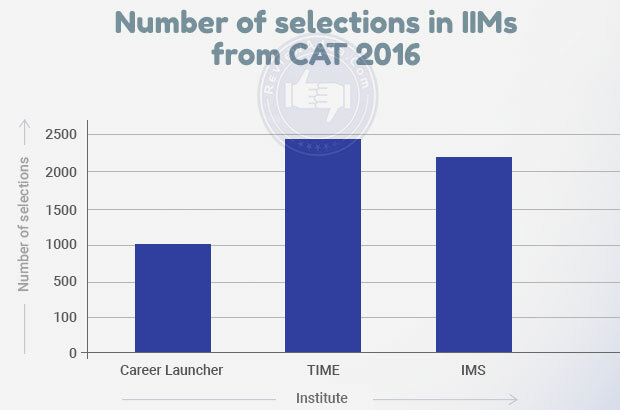 Amongst the top 10 rank holders in CAT 2016, two came from IMS. Based upon the factors mentioned above, a table has been tabulated to compare these three pillars on India’s MBA coaching factory. Let’s analyze each factor based upon the score mentioned above. While data for the total students enrolled has not been shown, selections for top IIMs are better analyzed by counting the number of selections. Considering this factor, the performance of TIME and IMS is much better than the like of Career Launcher. The reasons behind this trend can be attributed to the holistic teaching methodology adopted by these two institutes. Although results do fluctuate over time, the most recent data suggests Career Launcher needs to catch up to its counterparts. IMS has also benefited in this regard due to its student-intensive approach. TIME is often considered a place where students have to fend for themselves and make their presence known, while IMS tries to concentrate in each student. As far as the data goes, both institutes are doing well with their respective philosophies of teaching. The rating for this category has been awarded purely on the basis of student response. The most important factor determining the score is the quality of test series each of these institutes’ designs. The best test series for CAT from the above data is provided by Career Launcher. CL test series is regarded as one of the most trusted modes of preparation before CAT exam. Its closeness to the level of CAT is considered ideal preparation for candidates before the exam itself. TIME is also well known for the high level it sets its test series at. However, due to its extreme difficulty which exceeds the CAT exam itself, some tend to avoid it. IMS CAT Test Series is also considered a suitable alternative to the aforementioned institutes. IMS and TIME CAT coaching fees are closes relative to Career Launcher. Although the correspondence courses are usually around the same mark, classroom programmes show marked variation when it comes to fees. This is a factor subjective to each candidate. TIME and IMS do seem better options from a monetary point of view, but students who feel comfortable with Career Launcher should not hesitate. Career Launcher and IMS beat TIME in this regard due to their relatively wider batch schedules and timings. At TIME, the student-faculty ratio sometimes goes haywire due to the sheer number of students. This essentially translates to less number of faculties available to cater to the number of students. Thus, TIME falls behind Career Launcher and IMS who have ample teaching resources and scheduling plans to cater to their students. TIME has the highest number of centres in India amongst the bunch. From small townships to major cities, the reason behind TIME becoming a household name in India for MBA coaching is its wide outreach. Career Launcher and IMS aren’t far behind, but they lack the countrywide penetration TIME boasts of. As mentioned above, IMS has altered its methodology to inculcate personalized counseling for students to motivate and inspire them for the coming exams. This feature isn’t unique to IMS, but amongst the three mentioned above, it is the only one with special catering to students. TIME performs poorly in this regard due to massive sample size of students attending their classroom programmes. Even if they tried, ingratiating such an idea is almost impossible. Online Coaching Classes- Contender or Pretender? BYJU, an educational startup has drastically changed the way students approach competitive examinations. Started back in 2007, BYJU began as any normal coaching centre with a unique teaching methodology. With its shift to generating online content, BYJU has surpassed the like of Career Launcher and IMS in terms of online content. The courses at BYJU can typically be availed through its mobile app or manual SD cards or tablets shipped directly to students. The range of courses offered is wide as well. Engineering, NEET, IAS, CBSE, and CAT are amongst the plethora of courses BYJU has inducted into its platform. BYJU is already considered the best online coaching for CAT. This trend should make conventional coaching institutes like Career Launcher, IMS and TIME sit up and take notice. Riding high on a $145m funding from top VCs such as Sequoia Capital and InnoVen Capital, BYJU is seemingly looking a dangerous opposition to connectional teaching methods. If the advent of digital media has taught us anything, it is the ubiquity of internet over a sustained period of time. Given enough money and time, BYJU could become a game changer in the coaching industry and be the end of conventional teaching methods. We’ll know everything in good time. The good thing about the college is that it has many experienced faculty which i dont think that any other colleges has. Only i disappointed by means of infrastructure it is kind of old as compared to nowadays colleges has.